Super Junior often referred to as SJ or SuJu is a boy band from South Korea formed by SM Entertainment in 2005. The Group debuted with 13 members (10 as of 2010). The members are Leeteuk (Park Jung Su), Heechul (Kim Hee Chul), Hangeng (left the group late 2009 - solo singer as of present), Yesung (Kim Jong Woon), Kangin (Kim Young Woon - currently serving for his two year mandatory military service), Shindong (Shin Dong Hee), Sungmin (Lee Sung Min), Eunhyuk (Lee Hyuk Jae), Donghae (Lee Dong Hae), Siwon (Choi Si Won), Ryeowook (Kim Ryeo Wook), Kibum (Kim Ki Bum - currently active as an actor), Kyuhyun (Cho Kyu Hyun), they are the largest boy band in the world. Super Junior was originally a rotational group that changes it's group members, but due to the addition of Kyuhyun the group rotational has been abandoned since. SuperJunior05 (as they were known back then) debuted on SBS's Popular Song on November 6, 2005 performing their first single TWINS (Knock Out). In February 2006, SuperJunior05 began performances for Miracle. As promotions for Miracle came to an end, SM Entertainment began selecting new members for Super Junior's second line-up project, SuperJunior06. The company even prepared a list of chosen members that were to graduate from the group. However, no members were taken out and a thirteenth members was added, since then the line-up has been abandoned. On May 23, 2006 SM Entertainment revealed thirteenth member Kyuhyun. They released their single U online for free download on May 25, 2006 in their official website. The single became one of Korea's most popular songs of the year 2006. By the end of the year, Super Junior collected over seven awards in five of South Korea's top music award companies, winning the title Best New Group in 2006. After Super Junior's Don't Don Album success SM Entertainment revealed that the group members will have separate schedules others will go into acting, some into variety shows, hosting and others will continue as part of a Sub-Unit Group. Super Junior's first sub-unit is Super Junior KRY (which KRY stands for Kyuhyun, Ryeowook and Yesung) that is focused on Ballad Songs the group debuted on November 5, 2006. The second sub-unit was revealed on February 2007 called Super Junior-T, the group is focused on trot (old form of a Korean Music) and has debuted on February 23, 2007. On October 2, 2007 SM Entertainment announced a third Super Junior sub-unit Super Junior-M, a subgroup designated for the Chinese Market. While the creation of the group created a brieft controversy between fans and management, Super Junior-M became a phenomenal success in China. With the absence of almost half of the members in Korea, a fourth sub-unit was created that same year to prevent Super Junior from disappearing in the Korean Music Industry. With the five members of Super Junior-T and Yesung, the formed the sub-group Super Junior Happy. 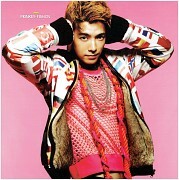 Super Junior's third album, Sorry, Sorry was released on March 12, 2009 with acclaimed reviews. Sorry, Sorry was the groups most successful album and single surpassing their Don't Don album. In less than a week after pre-orders were announced, over 150,000 copies were pre-ordered. Sorry, Sorry was their first album to debut at #1 on Hanteo Charts and it sold over 29,000 copies the first day, surpassing Seo Taiji's record of 25,000. Sorry, Sorry won Daesang at the 2009 Golden Disk Awards. On May 6, 2010 a teaser for their new album Bonamana was released through SM Entertainment's Youtube Page. The full music video of the lead single of the same name was released on May 12, 2010 and a full album was released on May 13, 2010. It was only released by 10 members of the group, without HanGeng who has terminated his contract with SM Entertainment, Kibum who is involved in an acting career and Kangin who has enlisted himself into the Korean Army. Their fourth album has broken a personal record having 200,000 pre-orders. The group kicked off their their Super Junior Show 3 on August 14 and 15, 2010 at the Olympic Gymnastics Arena in Seoul. On September 4, 2010 Super Junior took part in the SM Town Live '10 World Tour along with fellow SM Label Mates at the Staples Center Los Angeles. On November 24, 2010 Avex Entertainment as well as SM Entertainment Japan released an statement about a renewal of contracts of SM artist assigned to Avex. Super Junior was awarded for the Best Selling Album for two consecutive years at the 2010 Gaon Chart Awards, surpassing label mate Girls Generation. They also won Must Follow Personality at the Mashable Awards 2010 which was held in Las Vegas. Member Yesung was the winner of 2010 Cyworld Digital Music Awards OST. The group's then untitled fifth studio album was rumored to be released this year of 2011, it is also said the member Kibum will be joining them for the recording of their fifth album.